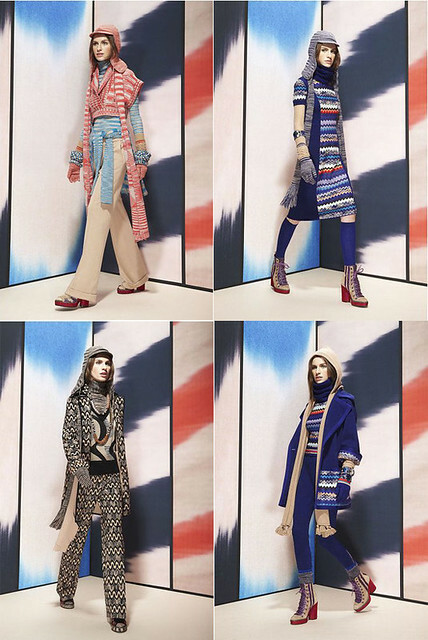 Missoni's Pre-Fall 2011 collection features 60's/bohemian ski-wear in their signature zig-zags and mixed patterns. Everything is warm and cozy. Another of many collections that makes me wish I had greater means.